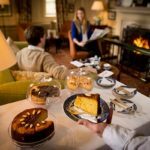 Treat yourself or someone special to a delicious day out with a Champagne Afternoon Tea at the Talbot Hotel in Malton, North Yorkshire. Set along the beautiful banks of the River Derwent, the Talbot Hotel is a short walk from Malton railway station. 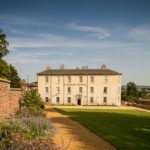 Originally an 18th century coaching in, this magnificent hotel in the North East of England has been upgraded to luxury accommodation with fine dining. Indulge with a luxurious Champagne Afternoon Tea. Served in elegant surrounds the Talbot Hotel offers cosy dining next to roaring fire places or al fresco on the delightful terrace in warmer weather. Tuck into thick sandwiches including honey roasted Yorkshire ham, smoked salmon with chive cream cheese and a cucumber and black pepper crème fraiche, you will certainly be spoiled for choice! What’s more is you will also then indulge yourself with a number of sweets treats that are certain to leave you feeling full to the brim! You will also be able to add a touch of class to the occasion with a bubbling glass of Taittinger champagne to wash everything down with! 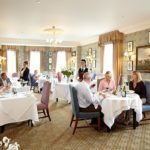 Book a Champagne Afternoon Tea at the Talbot Hotel, North Yorkshire. We have a fantastic deal for this Champagne Afternoon Tea at the Talbot Hotel. Previously priced at £54, it is now available at £44 for TWO. This afternoon tea offer is available from Buy a Gift. To book or for further information, simply select the Book Now button. Go on, spoil yourself.